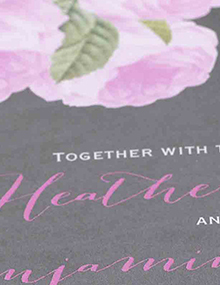 The Occasions Group | The preferred print partner for life events. You are the masters of your craft, we are the masters of ours. 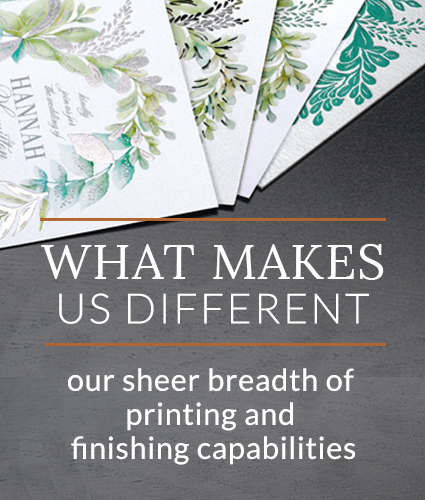 As the industry's leader in premium print and finishing, we provide unparalleled possibilities to expand your social stationery offering and help your customers celebrate all of life's occasions. See what expert craftsmanship looks like. 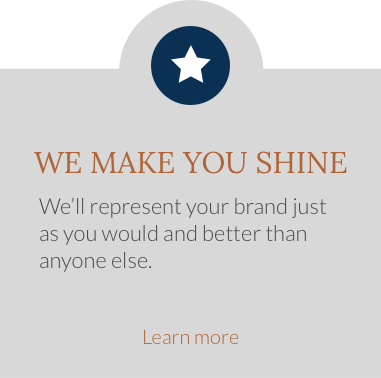 Our industry-leading presses perform the finest specialty print processes and our highly skilled operators ensure every detail is perfect. We’ve mastered the printing techniques today’s trends are built on. 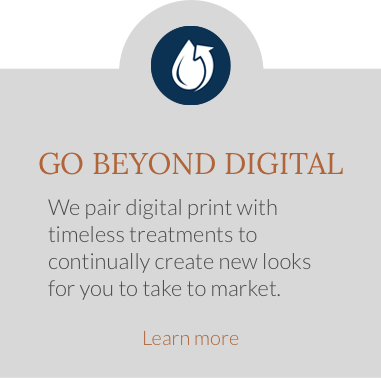 Print has always been our passion and decades in the industry mean we have the experience and knowledge needed to capture today’s trends while retaining the quality and standards of yesterday. 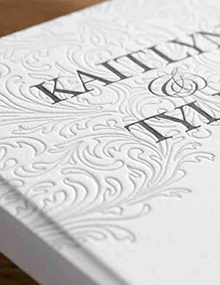 A focused beam of light is used to cut beautifully intricate designs into paper. A computer controls the laser’s precise movements, so the results are flawless! 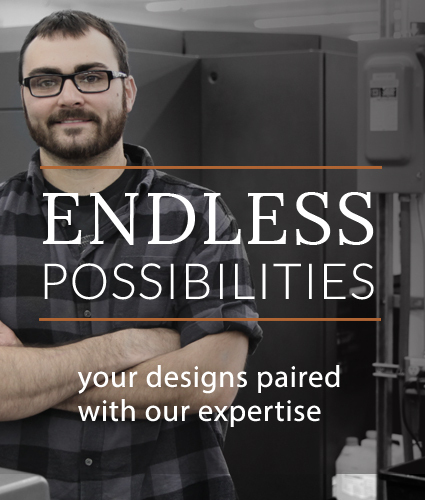 We offer stock laser cut designs to make it easy for you. 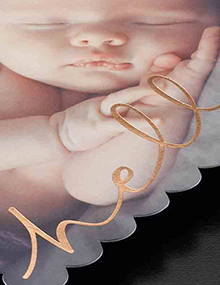 A heated die is stamped onto foil then pressed to paper, which leaves the design of the die behind in gorgeous shimmering (or matte) foil. Your design is sent to film as a negative and then exposed to a die. 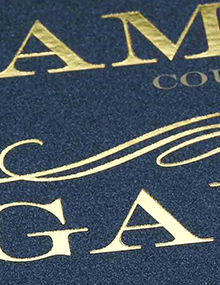 The die is pressed (with tremendous pressure) to individual sheets of thick paper creating debossed designs that are crisp and sharp in appearance. When a piece of stationery is printed, resin is sprinkled on the wet ink and exposed to heat. 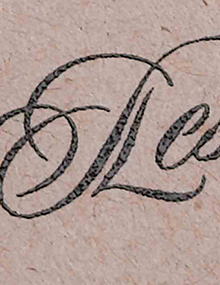 The resin and ink fuse together, raising the lettering in an effect that’s similar to engraving for a fraction of the cost. Die cutting is a simple process but the end result gets attention! 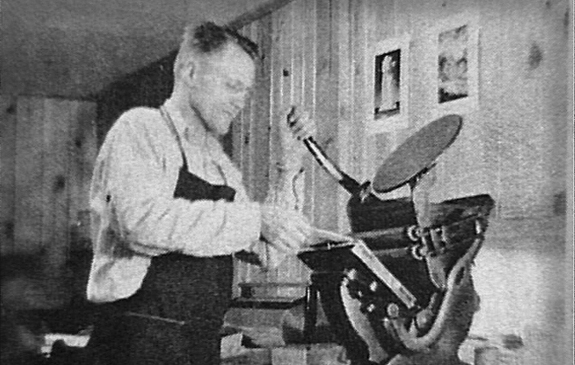 A steel blade is used to punch out unique shapes, cuts and frames. 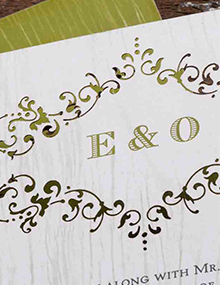 Die cutting often accentuates certain design elements and adds a certain wow factor. 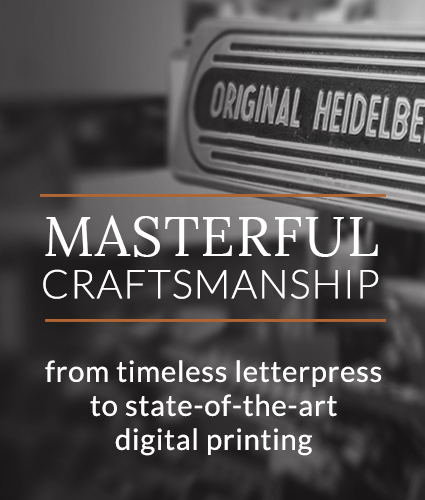 Full-color digital printing on state-of-the-art presses produces great color and quality for on-demand orders. It also makes low minimums and short turnarounds possible.